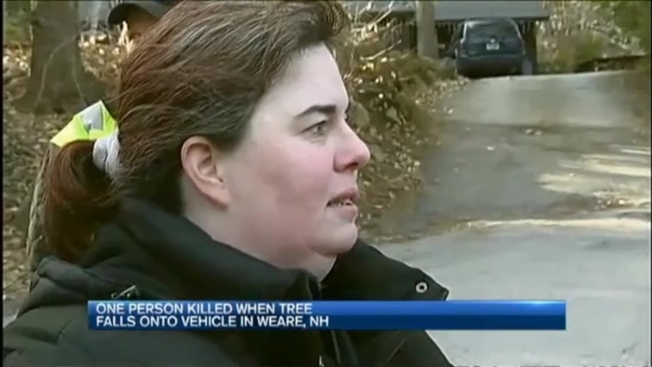 One person is dead after a tree fell on a vehicle in Weare, New Hampshire, on Tuesday afternoon. Police said the tree fell onto a pickup truck on Route 114 in the area of the John Stark High School, killing the driver. The identification of the victim has not been released. Police say the wind was a factor in the accident.